In the Age of Instant where texts, emails and photos can be sent with the tap of a thumb from wherever you are in the world, there is little chance of finding peace, and finding a moment to be truly alone. But in this world, we are also feeling more isolated and more disconnected than ever before. With all the noise we surround ourselves with, nothing is being said. Mental illness is at crisis point, and all around us the problem is getting closer and closer to home. In Australia more than one million people are suffering from depression, that’s 1 in 6 women, and 1 in 8 men. More than two million people are suffering from anxiety, that’s 1 in 3 women, and 1 in 5 men. 75% of mental illnesses appear before we are twenty-five years old. Fortunately, as the issue surrounding mental illness, and the number of sufferers grow, so too do organisations and support networks to help. We need to talk. We need to talk about how we are doing, and we need to talk about getting help. In my life, one of the few things that still invokes the same brightness and feelings of joy that it did when I was a child, is getting a piece of mail. Not a bill. Not a take-away menu. But a real, white envelope with my name and address scrawled on the front in messy handwriting. 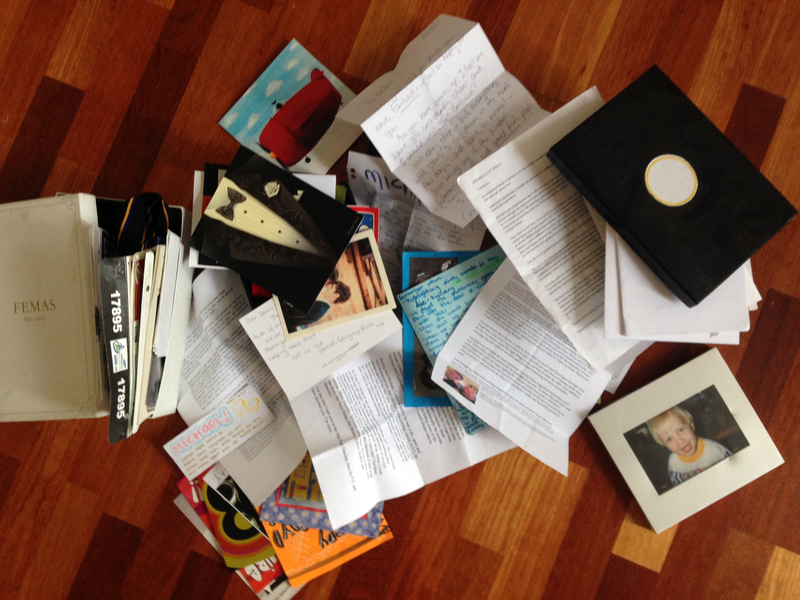 Every birthday card, every thank-you note, any thought shared with me on a piece of A4 and put in my letter-box I have opened, read, re-read, and kept in a shoebox in my cupboard. Hoarding? Maybe. Special? Yes. No matter how many day, months, or years later I revisit these, the handwriting, the words, and the message bring back people who are gone, memories that have been forgotten, and always the same feeling I had when I first read it. One month ago, still unpacking boxes moving into a new house, I opened the shoebox and re-read birthday speeches and cards from the past six or so years. It was in this time that I rediscovered two cards that hold their own special spot in my heart. One from a man, one from a woman, both sent the day after I ‘came out’. In their own ways, they both held the same message. “I’m happy for you. I’m proud of you. I hope you know that I’ll always love you”. It was these cards that – whilst there wasn’t technically any new information in them – cemented in me the knowledge that there is always someone in your corner rooting for you. Life’s Cycle is a product created to acknowledge the prevalence and normality of loss, grief and mental illness in every day society. The product was born from the idea that to overcome these moments in life, a conversation must be started. Through conversation – in whatever form – we are able to share ourselves and be better connected to one another. In the cycle of life, there is no way to avoid moments of loss or fear. Time’s when we may feel isolated or misunderstood, when we don’t cry out for the help we so desperately need. At this time, a symbol, a word, a connection can reconnect, can reaffirm, and renew us. At Life’s Cycle, we want to get the ball rolling. A card can be the symbol of connection. Words can reaffirm the love we have. The conversation started can renew what we thought may have been lost. 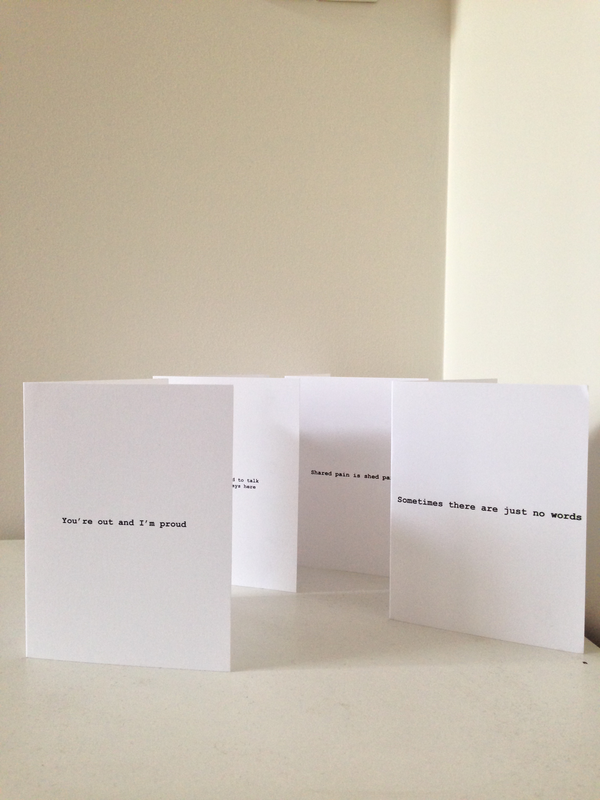 For every card sold, one dollar is donated to a mental health organisation to keep fighting against mental health going, and ensuring that conversations between friends, families and professionals keep the fighting spirit alive in all of us.